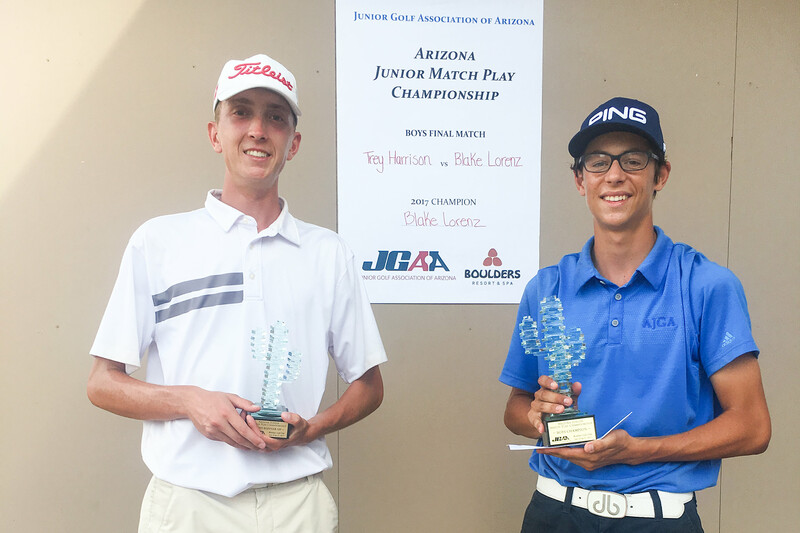 Peoria’s Blake Lorenz, 17, topped the field at the Arizona Junior Match Play Championship held at The Boulders July 20-21. Lorenz started out strong with a 4 & 3 win over Caden Christopherson of Chandler. He then notched three-straight 3 & 2 wins to take first place. Lorenz prevailed over Max Engle of Scottsdale, his younger brother Ben Lorenz and Trey Harrison of Chandler in the final match. Down by one hole early, Lorenz squared the championship match with a birdie at the third hole. The match remained all square until Lorenz won holes 11 and 12 to go 2-up over Harrison. Lorenz kept up the pressure with an eagle at the par-5 14th hole before halving holes 15 and 16 to close out the match. 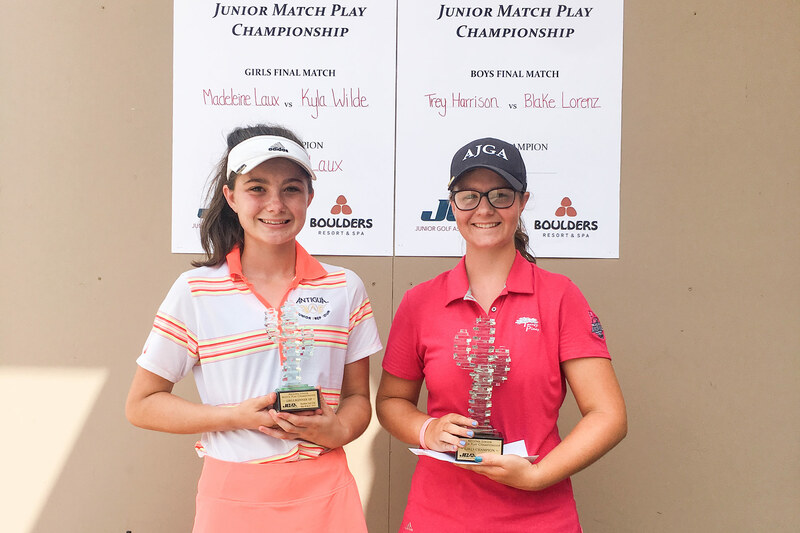 On the girl’s side, Laux, 15, of Goodyear appeared to gain momentum as the tournament progressed with a 3 & 2 victory over Cayla Clark of Chandler in the first match, a 5 & 4 win over Eve Worden of Phoenix in the second match, and a 6 & 4 win in the championship match over Kyla Wilde of Phoenix. In the final match, Laux jumped out to a 2-up lead after three holes and never looked back. She made the turn at 4-up before closing out Wilde with a par at the 14th hole to finish 6 & 4.